This offer (“Offer”) is made available to you is in respect of the semi closed pre-paid stored value account, namely ‘Amazon Pay Balance: Money’ (“Amazon Pay Balance”), which can be managed on the website www.ama...in and the corresponding mobile site and mobile application (collectively, “Amazon.in”) by Amazon Pay (India) Private Limited (“Amazon”). 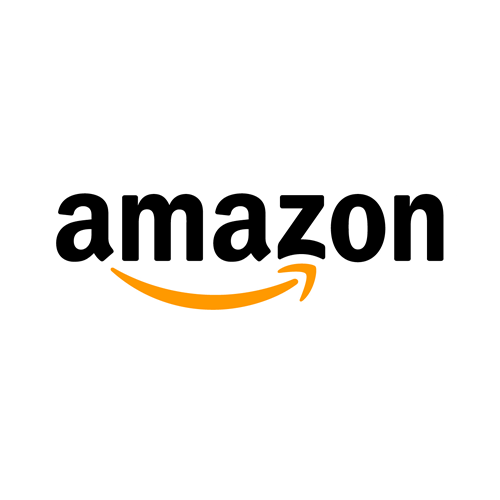 These Offer terms and conditions (“Offer Terms”) are in addition to the ‘Terms and Conditions – Amazon Pay Balance: Money Wallet’, to which you agree to by using Amazon Pay Balance and the Amazon.in Conditions of Use and Privacy Notice, to which you agree to by using Amazon Pay Balance / Amazon.in. In the event of any conflict between such terms and these Offer Terms, these Offer Terms shall prevail, only for the purposes of this Offer. This Offer will be valid from July 1st, 2018 to July 31st, 2018 (both days inclusive) (“Offer Period”), unless extended or revoked by Amazon in its sole discretion, without prior notice and without any liability. Under this Offer, any customer who sets up the ‘Auto-Reload’ feature (“Auto-Reload”) in respect of Amazon Pay Balance during the Offer Period and does not turn off the Auto Reload till September 30th, 2018 (“End Date”), will be eligible to receive a cashback of an amount of INR 50 on every load of Amazon Pay Balance (“Load”) for a minimum amount of INR 1,000, which occurs automatically pursuant to Auto Reload on or before the End Date. This cashback is available on a maximum of 5 Load transactions. The cashback will be provided to the Eligible Customers in the form of Amazon Gift Card, issued by Qwikcilver Solutions Private Limited (“Gift Card”), redeemable as Amazon Pay Balance in the Amazon.in account of the Eligible Customer. The use and redemption of the Gift Cards and the use of Amazon Pay Balance is governed by the applicable terms and conditions. The cashback for each Load transaction will be provided to the eligible customer within 3 days from the day of completion of the relevant Load transaction. No cashback will be provided: (a) for the Load transaction or any amounts loaded into Amazon Pay Balance after the End Date (i.e. September 30th, 2018); (b) for Load transactions exceeding 5 such Load transactions before the End Date; © for any Load transactions that occur subsequent to turning off the Auto-Reload before the End Date; or (d) for any Load transaction carried out by the customer on its own (i.e. it is not pursuant to Auto-Reload). The cashback under this Offer cannot be clubbed with any other similar offer made available on Amazon.in. The customers will be eligible to receive the cashback only once under this Offer. Any queries or issues in relation to the availability of this Offer should be addressed to Amazon and will be entertained only during the Offer Period. Under no circumstances will the cashback under this Offer be provided in cash by Amazon or its affiliates. By participating in this Offer, every customer expressly agrees that Amazon or any of its affiliates will not be liable or responsible for any loss or damage whatsoever that he/ she may suffer, directly or indirectly, in connection with this Offer. Amazon reserves the right to disqualify any customer from the cashback under the Offer if any fraudulent activity is identified as being carried out for the purpose of availing the Offer. Neither Amazon not any of its affiliates makes any warranty of any kind, express or implied (including, without limitation, status, fulfillment or credit of the). You hereby release Amazon and its affiliates from liability of any kind relating to the mentioned above. The customers are not bound in any manner to participate in the Offer. Any such participation is voluntary and the Offer is being made purely on a “best effort basis”.